ColorVeil Color filters over your screen. Reduce eye strain, help with Dyslexia and Visual Stress. This tool probably offers one of the best ways to minimize eye strain and irritation while using your PC. 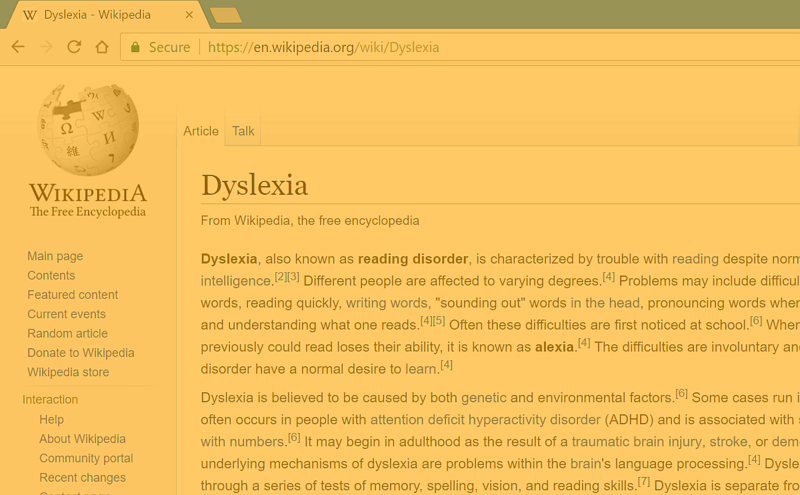 Add a colored filter over your entire desktop for saving you from eye strain, or simply for a fun or nostalgic screen view. Studies have also found that the colored filters aid cognition for those with dyslexia. ... I have opted for applying a colored filter with ColorVeil. "This is an indispensable software used to prevent eye strain. I highly recommend it and use it frequently during long work days. They've done a kindness to people by making it available to download freely."